It's long past time we had a new kids' franchise that explored the worlds of magic, wonder, horror, and orphans. Clock in with Snooty and Goon as they tick and tock their way through this adaptation of the classic children's novel. You'd be cuckoo not to! Clock pun! Knowing the rules to a scary movie will let you survive a scary movie! Unless the monsters know the rules too. Then all bets are off. Join Snooty and Goon on their rampage through this horror/comedy from Rooster Teeth Productions! They know all the tricks. The seedy underbelly of Los Angeles has never looked so fluffy! Join Snooty and Goon on a thrilling murder mystery that also doubles as a hilarious sendup of itself and the notion of puppet-based entertainment as a whole. Googly eyes will be supplied as needed. Snooty and Goon show up late to this destination wedding and get swept away by the glitz, the glamor, the fashion, and the culture in this surprisingly smart romantic comedy. And best of all, there's no bouquet to catch! Don't go in the water! Seriously, if it means seeing The Meg, then don't go in the water. You're better off watching literally any other shark movie. Yes, that includes the Sharknado sequels. Also, as I type this, I just learned that"Sharknado" is a valid word in my spellchecker, so I guess that's where we are as a culture. That makes me a little sadder. 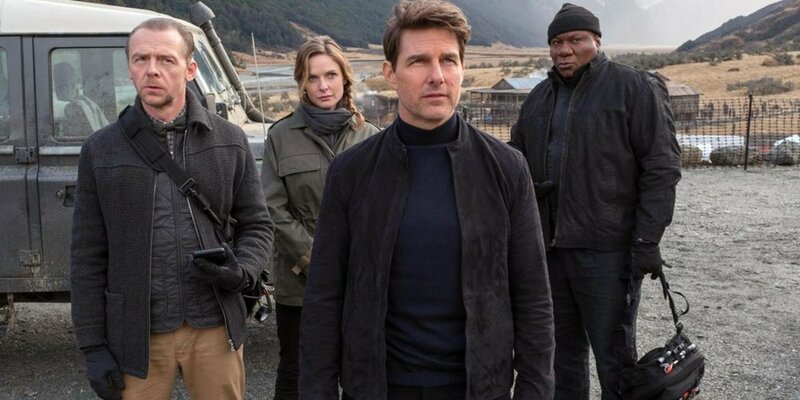 The summer of 2018 has chosen to accept yet another mission, which can only mean that Tom Cruise wants to put his life in danger again for our amusement. Join Snooty and Goon as they discuss what gives this franchise its staying power. It's a totally possible mission! Having trouble expressing how you feel? Do you not have enough dads in your life? Have you tried singing about it? Well, you should! Snooty and Goon are joined by the resplendent Empress Goonita to extoll the joys and virtues of the oft-maligned musical genre. Grab your sheet music and join in on the chorus! The classics may die hard, but they're never as impactful the second (or fiftieth) time remade. Join Snooty and Goon as they climb through this generic action movie. Unless you're afraid of heights, in which case you can listen in from the ground floor. We need a teeny-tiny break from the jarring shock that was Infinity War's ending. And what better way to relax than by watching the MCU's oddest heroes pal around for a couple hours? Join Snooty and Goon as they size up this latest sequel from Marvel Studios! Nobody has ever accused Snooty or Goon of being good at sports or even of just being good sports. But that won't stop them from squaring off with this latest ESPN-produced street baller comedy. Game on! Life may have found a way, but perhaps it should have asked for directions instead. Snooty and Goon hack their way through this dinopalooza sequel, which is filled with nonsense, bad science, baffling decisions, and way more fun than it should really have. How does it pack so much into its run time? The only way to find out is to study its DINO-DNA! Better late than never, unless you need to save someone in the nick of time! Join Snooty and Goon as they power their way through this long-awaited sequel to one of Pixar's greatest hits. The heroes and villains haven't really changed, but the fights are prettier than ever! Star Wars prequels might not always be a sure bet, but it helps when they're about the most lovable rogue in the galaxy and his walking carpet copilot. Join Snooty, Goon, and Professor Science as they journey back a long, long time ago into a galaxy far, far away! The Merc With The Mouth gets a sequel to his breakout 2016 hit, and it's even bigger and longer than the first one! Join Snooty and Goon as they take on this irreverent, yet weirdly earnest, comedic sendup of superhero films. No healing factor required! Yippee ki-yay! It's time for a return to the action-thriller genre, this time headlined by a mom looking out for her family, coincidentally in time for Mother's Day! It's not the best movie of its kind, or even the best movie in theaters right now, but as far as Mother's Day gifts go, it still beats that homemade coupon book you were planning to give her. WHO WAS RIGHT: GOON OR SNOOTY? Why? Why is this a thing? Why again? Why not do it any differently from the original? There are so many "whys" in this remake, and no answers. So trust Snooty and Goon to get to the bottom of it all. What do you do when the universe's most dangerous villain finally gets out of his chair? You turn your entire toy box upside-down and dump every single action figure you own on top of his head! Join Snooty, Goon, and the staggeringly numerous cast of Marvel's 10th Anniversary celebration for an experience that's less of a movie than it is a theme park ride. If you happen to be a character in a movie, and your movie isn't a road trip comedy, here's a hot tip: never go anywhere. Instead, let Snooty and Goon talk about your road trip for you, and perhaps break down your wild tonal shifts. It's easier, and involves less kidnapping.